Well, it is that time of the year again, and when someone finds out where this year has gone, please let me know. I am sure you will remember my dislikes for the un-fun resolutions; stop this, stop that…ugh. Who invented that idea anyway? Let’s continue with my style of resolutions, if you please. I do prefer them. two, we will make fun resolutions which we will look forward to keeping. We will wake up every day wanting to reach our new goals. Sounds better than giving up chocolate or coffee, doesn’t it? If our lives are full of fun and excitement, we won’t crave the bad stuff to fill the void, anyway. That’s my theory and I’m living it and loving it. By some weird fate, I realized when I was checking out which items I had accomplished over the past 12 months that I had reached nine of 10 goals. ... off the list I made for you. Not nearly so many off my own list. So this year, I am combining our lists, since I seem to prefer yours anyway, and keeping some from last year. Ready? 1. Take up a hobby we enjoyed when younger, but have stopped for whatever reason. 2. Try a new sport. This can include racing, individual or team sports. 3. Hike through the woods. With so many parks, this will be easy to do. 4. Try an alternate mode of transportation just for fun, maybe take a scenic train ride, snow-mobiling for a day or even a carriage ride around town. 5. Visit a state never before visited. This one will be on the list every year until I visit all 50. 6. Tour a lig hthouse. A real one, and take photos of it for proof. 7. Get a passport. This is another I didn’t get to in ’09, but so important it returns. 8. Become acquainted with a different type of music. Rap doesn’t count. 9. Read to a child or an invalid. Everyone likes to be read to, especially when sick or young. 10. Visit a museum. A train, fine art, potato or blue grass museum; any kind works. 11. Grow an herb garden. Nothing fancy, just one or two plants for personal recipes. Chia pets do count. 12. Go on a picnic. Even if it is in your own backyard. Toss down a blanket and go for it. There is one more that will appear only on my list. 13. Be in the delivery room when my very first grandchild is born in March. What an exciting year lies before us; new dreams and possibilities, new mistakes to learn from and new memories to be made. Life doesn’t get any better than that, I promise. 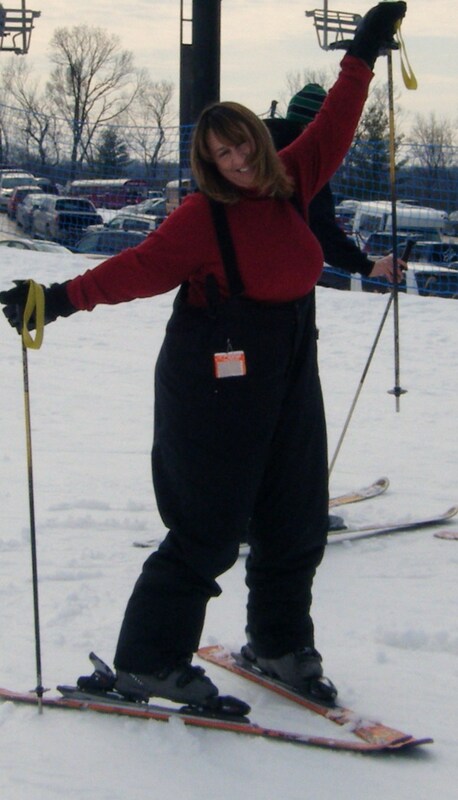 If you would like to drop me a note about our fun resolutions, you can e-mail elizabeth@gottago.us. Me, I will be right here, learning to knit baby booties. Like a runaway, speeding train hurling itself through the night, Sherlock Holmes takes you on a ride which keeps you riveted to the big screen, hanging on for dear life. Teaming Robert Downey Jr. as Holmes, the intellectual sleuth, Jude Law as his loyal sidekick, Dr. Watson, and Rachel McAdams as Adler, is a winning combination. Rapid-paced, dry humor runs throughout the film, which is set in London’s dark, latter 19th century. The pursuit of world power leads Lord Blackwood, portrayed coldly by Mark Strong, into the practice of the dark arts. Pursuit of the occult leader leads Holmes, Watson and Adler into the sewers of London. Loosely based on Sir Arthur Conan Doyle’s classic book series, Guy Ritchie directed with the clear intention of creating a franchise, including numerous sequels. Downey and Law play off each other brilliantly, creating a co-dependant relationship and showing their weak links and strengths, which keep them together. Sharp-witted and beautifully flawed, the men need each other, manipulating the situation to grow and strengthen themselves and each other. A solid cast, including the minor roles, and a screenplay written in a fast-paced, modern style, create a movie worthy of seeing a second time. Standing alongside the computer-generated movies out currently, the throwback to an earlier time is refreshing for moviegoers craving fewer futuristic special effects and a stronger, well-written story line. 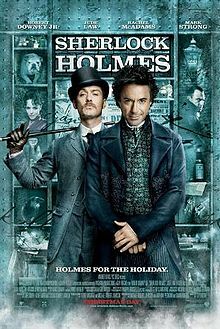 This razor-sharp view of a young Holmes and Watson gives insight to the detective’s ability to analyze without emotion, with cool logic, and then act upon it with confidence. Apparently a divorce from pop singer Madonna works for Ritchie, whose latest endeavor seems organized and on target for its audience. Bottom line: Downey, Law, McAdams – not since Newman, Redford and Ross in Butch Cassidy and the Sundance Kid (1969) has there been a trio this perfect. This post was originally published under "Gotta Go" in the West Side Community News in Indianapolis, and the West Indianapolis Community News. Elizabeth J. Musgrave is a syndicated columnist, travel writer, performing arts and restaurant critic. Catch her as Indy’s Arts & Entertainment Adviser on 93 WIBC, and follow her on Twitter @GottaGo and Facebook. Gotta Go is published in M magazine and the following newspapers: South Sider Voice, Indiana Weekender, New Palestine Reporter, Pendleton Times Reporter and Fortville-McCordsville Reporter. It’s that time of year again: snow, carols, crowds and serious decisions. Online or in-store shopping, blue or white bow with the gold wrapping paper, gift cards or actual presents, the spirit starts to wane. Gifts which are unique will be remembered long after the tinsel is gone and the latest gotta-have-it is tossed to the side. The annual round-up of gifts discovered throughout this year, whether by design, referral or accident, is even tastier than last year. The quality, uniqueness and ease to buy are some of the factors which are looked at carefully before the items make it on this list. Stocking stuffers can be the favorite gifts this year, if you get the perfect little something tucked between the popcorn balls and candy canes. Finding the trinket to please the recipient, without breaking the piggy bank can be easier than imagined, just by shopping in a non-traditional place. For example, rather than merging with the hundreds of others in the mall, stop in at a local winery for your vino-loving friends and family. “For stockings and inexpensive small gifts,” described Meredith Easley, Easley Winery, Indianapolis, “you can’t go wrong with wine charms, a charm tree for display or wine bottle stoppers.” Other gift ideas for the wine lover are vacuum sealers, customized wine labels and the deluxe wine-making kit, complete with one free wine class. For the wine drinker who thinks he has everything, try scooping up some tasty treats from the West Coast. 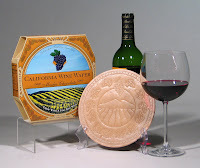 Sacramento Cookie Factory has thin wafer cookies to accent red and white wines. Mocha-Chocolate, Raspberry-Almond and Lemon-Vanilla rearrange taste buds for a distinctive approach to wine. These saucer-size wafers also can be used to create unique desserts. The chocoholic isn’t forgotten if you remember to order some of Trunnel’s Farm Market’s home-made fudge. Located just outside of Owensboro, the KY Bourbon Chocolate flavor ranks No. 1 on this year’s fudge choice. Have a sweet lov er in the family, who isn’t crazy about chocolate? Try out the hand-made gourmet marshmallows in more than 45 flavors, including Chai Spice and Lemonade, from local Indiana Artisan company 240 Sweet. 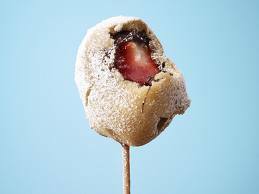 These fluffy creations are delicious by themselves, making hot chocolate optional. If traditional shopping isn’t possible, but ordinary gift cards seem too impersonal, purchase a more customized card or membership, without leaving home. Available by telephone or online, gift cards are available for a family membership to the local children’s museum, zoo or even the neighborhood YMCA. Most theater and concert venues will accommodate holiday buying needs whether a single performance or a season subscription is in the budget. With the economy tightening the Christmas-giving budget this year, creative approaches can be the successful key to a gift which will be remembered long after the egg nog and snow have disappeared. Certainly a holiday show is enjoyable. A tradition looked forward to annually. However, every once in awhile, the lull of the known is rocked by the unknown and changed forever. You are left with a feeling of disquiet, as if you had been cheated all of this time by not knowing what else was out there. Such was the moment when opera performer, Chris Dickerson (La Boheme’, Carmen, Il Travatore) took the stage at Beef and Boards, 9301 N. Michigan Road, for the Christmas 2009 show. At the helm of this holiday mutiny stood a man, approximately six foot six inches of "I won’t be silenced." Dickerson, whether having an obviously enjoyable time with You’re a Mean One Mr. Grinch, or joining in on Sleigh Ride, and Mistletoe and Holly, brought a presence which could not be overlooked or dampened by mere mortals. 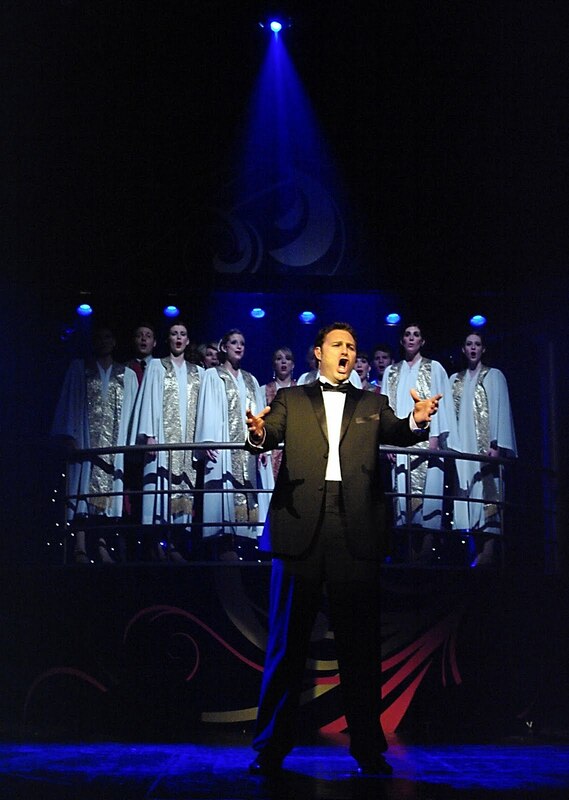 Towering above the other members of the cast, Dickerson belted out his solo, Oh Holy Night, basking in the admiration of the audience, which showed its appreciation via howling, yes, I said howling, cheering, foot stamping, and, dare I say it, catcalls? The audience wanted more, much more. The show could -- and should -- have ended there. The standing ovation due the man was quashed due to the starting too soon, anticlimactic Joy to the World which followed as the finale. There was simply no earthly reason to not allow Dickerson, and the audience, to finish the show basking in that magnificent glass-of-cognac-while-sitting-by-the-fireplace voice. Resplendent in his self-confidence and adoration of the ‘his-now’ audience, I can recommend only one thing. See him perform while he is in town, because chances are dismally slim he will have room in an already busy schedule to return next year. Talent of this quality rises to the top and travels to much bigger cities rather quickly. Elizabeth J. Musgrave is a syndicated columnist, travel writer, performing arts and restaurant critic. 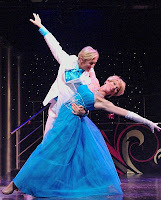 Catch her as Indy’s Arts Entertainment Adviser on 93 WIBC, and follow her on Twitter @GottaGo and Facebook. Gotta Go is published in M magazine and the following newspapers: South Sider Voice, Indiana Weekender, New Palestine Reporter, Pendleton Times Reporter and Fortville-McCordsville Reporter. Anyone who has worked in a professional kitchen can tell you good help is hard to find. Four-year-old Isabelle James, better known as Isa, can guarantee it. However, the world’s tiniest chef has lucked out. Her dad, Chef Lucien Gregor, has volunteered to help her out at Chickiepoo’s, 209 E. Main Street, in the Ohio River city of Madison. Besides kitchen staff, Isa has an additional obstacle. Acute Lymphoblastic Leukemia, also known as A.L.L., to be more specific. When not in the kitchen with dad, or helping mom, Phoebe James and big sister, five-year-old G.G. (Gibson) in the 14- seat dining area, Isa is undergoing chemotherapy. She and her mother trek two hours north to Indianapolis’ Riley Hospital for Children to receive medical treatment every Monday and Tuesday. I’d like to tell you this is a sweet bedtime story with a happy ending, but the future is unknown for Isa. 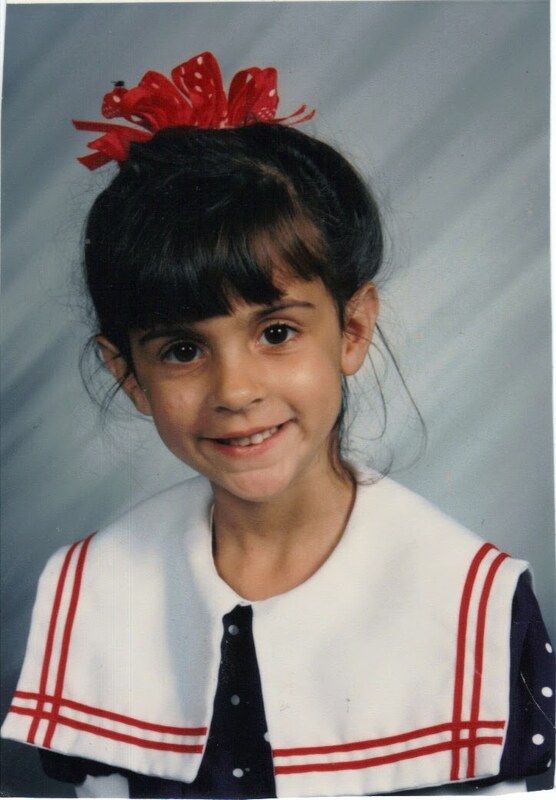 Although there is approximately an 85 percent chance she may live five years after she was diagnosed in January of 2009, statistics after the five-year mark drop dramatically. With the knowledge the tiny chef could be gone at any time, Eat Here Now! is the restaurant’s motto. Sooner, rather than later, because right here, right now is the only moment you can count on and living fully in each moment is exactly how they live. To be fully connected to every single moment, not distracted by iPods, laptops, televisions or cell phones, and to simply focus on each other is what Chickiepoo’s is all about. No carryout orders are taken. No reservations are accepted. Cash only. Even more than a restaurant, Chickiepoo’s is a dream…and a reality. When Chef Lucien realized Isa’s dream was to become a chef just like him, his own dream of becoming a corporate chef became unimportant. His new dream was to make sure Isa’s dream became a reality while he still could. Walking away from a dream career of working for a four star restaurant, James’ new ambition became his family. With a lucrative position in a resort kitchen, he would have had a grueling 80-90 hour week away from his children and wife. He understood that was not enough. Not enough time. Not enough family. With next to nothing in its bank account, the James family devised a sketchy plan on how to remain together for as long as time allowed. By opening their own restaurant, they could keep the girls nearby as much as possible and make Isa’s dream a reality before it was too late. The girls are able to be with both of their parents on a daily basis, when Isa is not in the hospital. The success of the bistro is vital to maintaining the flexibility needed for Isa’s treatments, including home-given medicines. Realizing that life is never easy, they try for some sort of normalcy with the children without regret or self-pity. The boutique eatery receives the same attention to detail that Isa gives to her drawings, which decorate the walls. She personally tests foods from the kitchen, including her favorite dish, pasta, whether it is spaghetti or noodles. Chickiepoo’s buys and uses the best quality and freshest produce, dairy and meat from local farmers and townspeople. The menu is derived daily, dependent on what products the 31-pound, fragile cook is able to obtain from her sources. However, if you like a particular dish and it is on the menu board today, order it quick, because it won’t be available tomorrow, or possibly even the next moment. Starting the eatery on a shoestring budget, the family is rich in one thing…the ability to believe. Even with 10 long pages of medicines and their side effects for little Isa, including almost certain sterility and the possibility of new types of cancer from the very treatments given to save her young life, the family still believes in the positives. 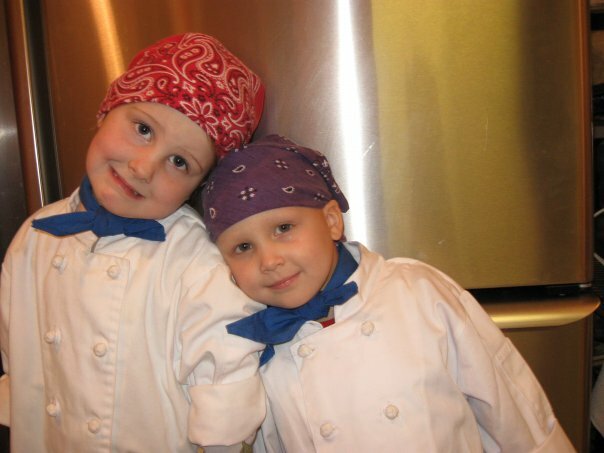 And yes, you guessed it, the bistro is named for Isa, whose nickname is Chickiepoo. --This post was originally published under "Gotta Believe" in West Side Community News and the West Indianapolis Community News in Indianapolis. 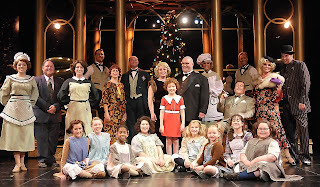 This time of year welcomes many venues to produce holiday shows. I was fortunate this weekend to catch a new-to-me one and one of my annual musts. 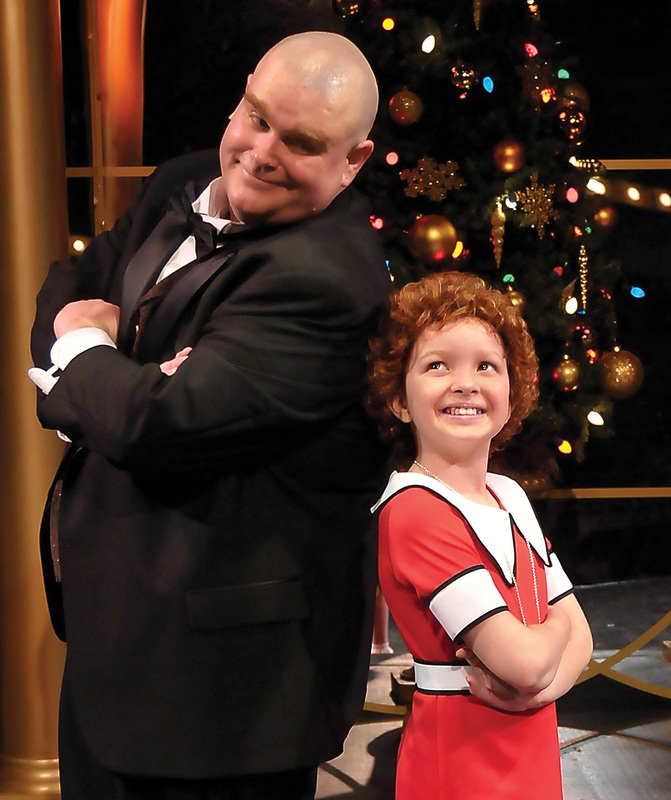 The Phoenix Theatre, 749 N. Park Avenue, is serving up its fourth helping of holiday cheer in A Very Phoenix Xmas. 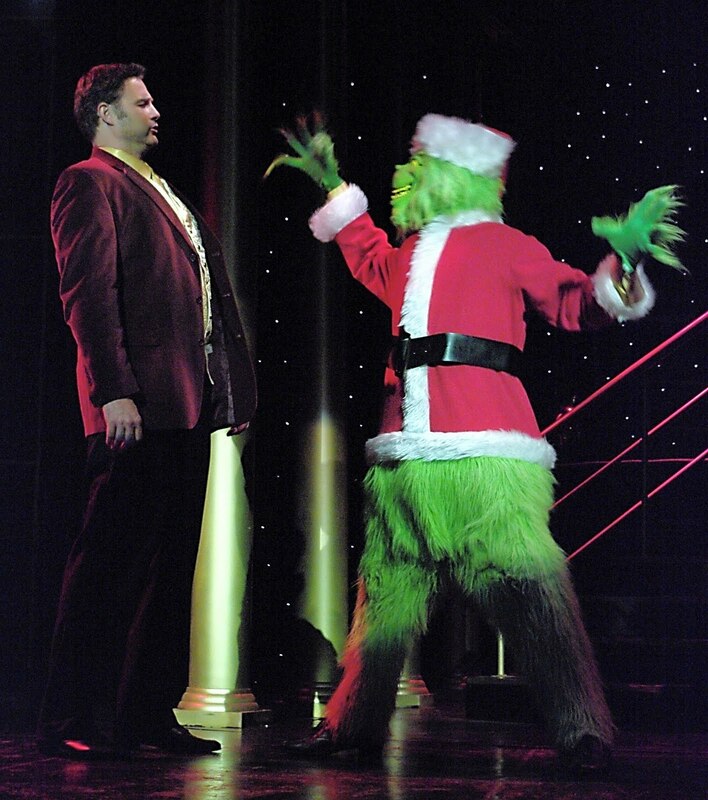 A two-act menagerie of skits, with behind-the-scenes snippets during stage changes, took a fun poke at the holidays without being offensive. 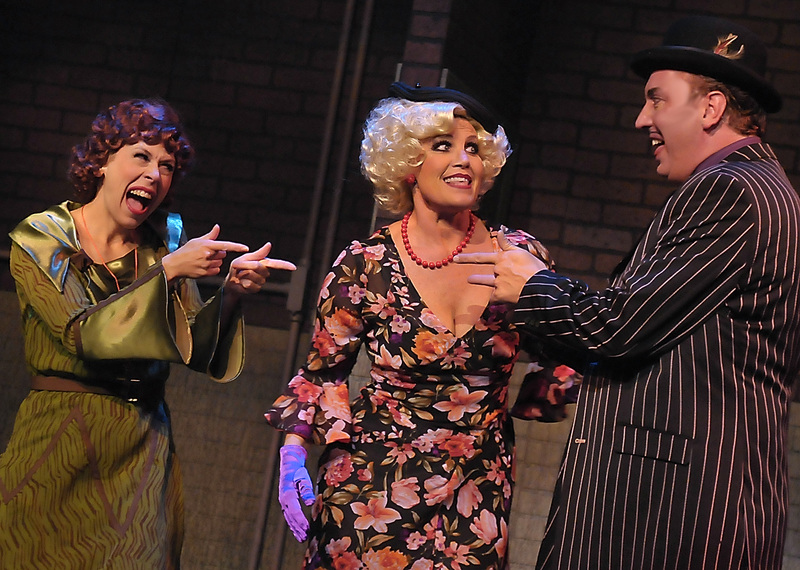 There were many regulars, creating a warm sense of camaraderie with the actors and audience. The sidesplitting interaction between Sara Rieman (Shipwrecked) and Michael Shelton (The Pillowman) in the opening segment, Happy Hannu-Clog, is worth the ticket price alone. A man with a shoe obsession, no relation to me, and his wife who attempts to explain how unnatural it is for a guy to go gaga over boots is an unadulterated delight. Another standout piece finds Shelton and Rieman pairing up once more in The Forty-three Second Kiss, giving a glimpse into what happens after the office Christmas party. between a girl who has lost her mother and her snowman, who explains the circle of life in the coolest way possible. 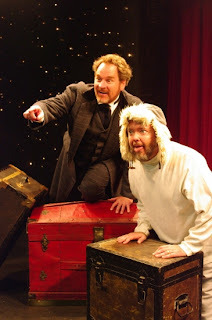 To balance out the new, I went to, where else but, IRT for my annual dose of A Christmas Carol. Never tiring of the tale of why one should be kind and caring, IRT’s scaled-down, non-glamorous take continues to rank No. 1 in my book. Turning in a solid performance is Mark Goetzinger as Marley’s Ghost, a role which, with Goetzinger, would definitely enhance the show with extended stage time and interaction with Scrooge. 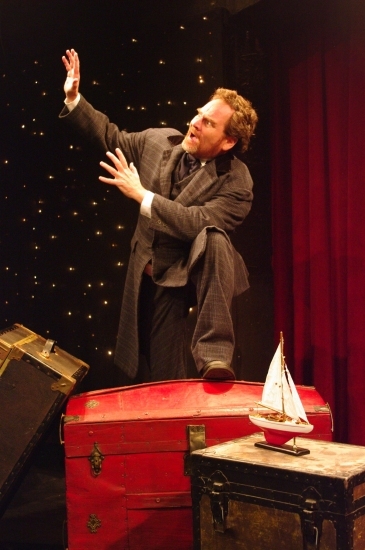 David Alan Anderson’s portrayal as the Ghost of Christmas Present felt restrained, and I am unsure why the reins were held tight on this actor. The potential could well have been met if Anderson had been allowed to fulfill the enthusiasm of the character’s love of life’s joys and happiness. The ritual of Christmas would be incomplete without Charles (Chuck) Goad at the helm of the cast as Ebenezer Scrooge. I asked the performer exactly what it meant to him to transform himself into Scrooge and, in turn, also become an annual tradition to holiday theatre-goers for the past 11 years. He replied that it is his dream role. “It’s a great part because it has a unique emotional arc—the journey that Scrooge takes through misery and pain to love and joy is incredible,” he said. “I’m able to measure my progress as an actor in the part by continually looking for different and better ways than I’ve done it before. “In a way, doing A Christmas Carol is like being at the Fezziwig party. You can’t help but have fun. and fun is contagious. That philosophy explains why every year, instead of becoming stale and uninspiring, the performance seems to have aged…like a fine wine. 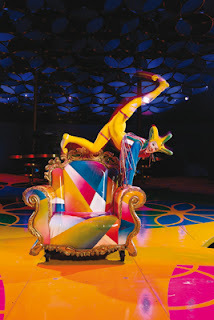 If you have an event or performance you would like reviewed, please contact me via e-mail at commnews@inmotion. net. Me, I will be right here, with my figgy pudding... whatever that is. --This post was originally published under "Gotta Go" in West Indianapolis Community News and West Side Community News in Indianapolis. In movie theaters now is Quentin Tarantino's Inglourious Basterds. Well known as both a writer and a director, Tarantino makes this movie one of his finest. For those not in the know, he also gave us Pulp Fiction (1994), Kill Bill Vol. 1 (2003) and Kill Bill Vol. 2 (2004), creating his own genre of comedy and gore. Would that be goromedy? Always surprising us, QT’s choice for front man, Lt. Aldo Raine, is A-lister Brad Pitt, who reveled in his role as the leader of the American Jews sent to brutally kill 100 Nazis per team member. Not since Burn After Reading (2008) has he seemed to so thoroughly enjoy himself on the screen. Who else could bring laughter from the audience with various wisecracks, while practicing the fine art of forehead carving? Tarantino’s genius, perhaps, lies in casting the perfect actor for each role, and then allowing each to do what he or she does best. He gives them permission to go over the top to become almost a caricature of the characters they are to portray. And then they kill somebody. Violently. 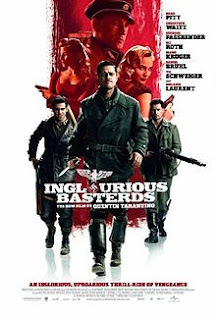 Pitt’s portrayal as the Tennessean sent to kick Nazi butts was not the hit of the movie, though. Surprised? You’re not the only one. There was a breakout star of the movie. How many actors can say that they stole a film from the king of Hollywood? Christoph Waltz can. Turning in the No. 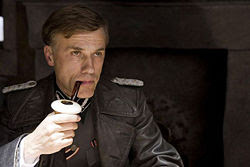 1 performance of the movie, Waltz portrays Colonel Hans Landa, the deliciously evil, and yet somehow, oddly charming, egomaniacal Nazi who hunts down Jews. Hailing from Vienna, Austria, Waltz is virtually still an unknown in America. But not for long. Winning the Best Actor Award at the Cannes Film Festival this year for Basterds, Waltz appears to be a sure bet for the Best Supporting Actor Award at the Oscars. Not the typical SS officer, the eloquent Landa is crazy like a fox, with a self-indulgent attitude willing to do anything to catch what he terms repulsive rats. The opening scene sets the pace and tone of the movie, with Landa quietly and methodically coercing a French farmer into revealing exactly where he has stashed a Jewish family. Then has his men open fire, naturally; it’s his job. The rest of the movie is a bit surprising here and there, dubbed as a fantasy-historical film. The plot basically is about the one family member who escaped, planning revenge and simultaneously, some espionage is worked in while a German hero falls for the escaped Jewish girl. They throw in subtitles, too. Not to worry, though; it actually runs smoothly. Bottom Line: Plan on hearing about this movie, and Christoph Waltz, for a long time, and consider both already on the list of Golden Globe and Academy Award nominees. 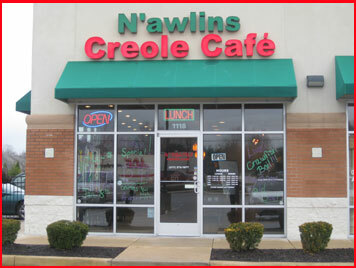 I was invited to test the newest eatery in the area, N'awlins Creole Café, 1118 N. State Road 267, in Avon. Opening just a week or so, ago, the café is already showing a promising start. Owners Brian and Jeri are originally from the pelican state and have run a catering business prior to opening the restaurant. Tasting several items from the menu, I am happy to report that it is not only possible to get authentic Creole cuisine in the Indy area, it is also possible to do so without breaking the bank. The catfish was flaky and moist, the breading even and not too thick. 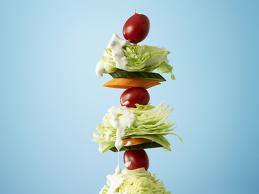 The shrimp Po Boy sandwich was stacked high with the little guys and dressed as it’s done in New Orleans – mayonnaise, lettuce, tomatoes and pickles. The jambalaya was as good as it can get this far north. The spices were noticeable without overpowering the traditional chicken, smoked sausage, and for an extra buck, shrimp. All seafood is brought in from Louisiana. was also tipped to the fact that crawfish is only good in the months with the letter “R” in it…which means no crawfish until September. The gumbo file was a hearty soup delicious in its combination of shrimp and spices. The side dishes, Cajun corn, and red beans and rice, were hot and delicious. Future plans are for wine and beer to be added to the menu, but for right now, soft drinks are available. The décor was reminiscent of the former occupant, a coffee shop, and there is Dixie music in the air. Outdoor seating is available, as are catering and delivery options. I have been invited back to check out the lunch menu. That sounds like a great idea, since I want to try the pralines from the dessert menu. The prices are reasonable and the steady stream of customers gives the distinct impression that this eatery has a very bright future. It’s that marvelous, wonderful time of the year again – state and county fair time. The 4-H projects are turned in for judging, ribbons are distributed and displayed, rides are bolted together and, best of all, concession booths start selling fair food. OK, here’s the list of food gone crazy at the fairs which I have heard about, seen in person or actually eaten. First, the kabob items, because at fairs, if the food item isn’t drowned in a vat of hot oil, it’s skewered, right? wedges are now on sticks. The newest kabobs to hit the circuit are chocolate-covered peanut butter rounds, chocolate-covered Key Lime pie and frozen s’mores. The last item is, of course, drizzled with chocolate, caramel or other sweet toppings. Pretzel rods are being dipped in chocolate or caramel, fish are in tacos and mashed-potato martinis are hitting the midway this year. Chocolate-covered bacon is also deep fried now, as are Jelly Belly jelly beans, Spam, peanut butter and jelly sandwiches, cheese-filled sausages, Tootsie Rolls, alligator meat, Pepsi, Coke and, drum roll please, White Castle hamburgers. Yep, the little square guys are battered and oiled up for a fast-track heart attack. The healthier fare being given the royal-oil treatment are strawberries, pineapple and bananas. Avocados, carrots and green beans have not entered the concession zone, as far as I know. However, there’s always next year. 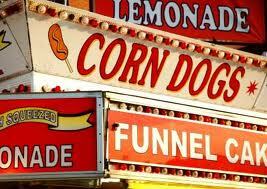 If you have a favorite fair food, share it with me by emailing a note to elizabeth@gottago.us. Me, I will be right here, figuring out how to deep fry cotton candy. Elizabeth J. Musgrave is a syndicated columnist, travel writer and theater critic. Catch her as Indy’s Arts & Entertainment Adviser on 93 WIBC and follow her on Facebook, Twitter and at gottago.us. Comments can be sent to elizabeth@gottago.us.